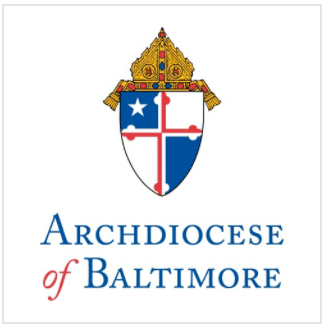 Archbishop Edwin F. O’Brien, Archbishop of Baltimore, will celebrate the Cathedral of Mary Our Queen’s 50th Anniversary Mass on Sunday, November 15 at 12:30 p.m., marking the exact day on which the Cathedral was dedicated a half-century ago. The Mass is the last in a series of events and celebrations marking the anniversary of the opening of the Cathedral. The Cathedral was built with a bequest from Mr. Thomas O’Neill and serves as the Cathedral Church of the Archdiocese, as well as a parish for Catholics in the North Baltimore area. WHEN: SUNDAY, NOVEMBER 15, 12:30 P.M.
Dimensions: 375’ long, towers are 134’ high with spires rising another 29’, sits on 25 acres. Features: 385 sculptures, 3.5 million bricks, 70,000 pieces of limestone, over 7,000 organ pipes.